When something is wrong with your electrical wiring, it is not only frustrating, it can also be a potential safety hazard. According to the Electrical Safety Foundation International, residential electrical systems cause nearly 55,o00 fires, 500 deaths and 1,400 injuries per year. 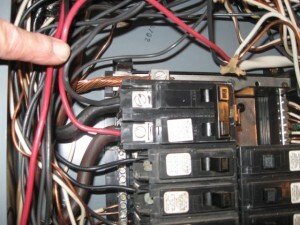 Trying to diagnose your own electrical issues can be very dangerous. It is very difficult for someone who is not a master electrician, to distinguish between the causes of these problems, and even more so to fix them. An Ace Electrician can safely, quickly and effectively diagnose and repair your home electrical problem. Call today to schedule your appointment.